Alhambra – O Hei There! Despite it being the oldest Taiwanese restaurant in the SGV, and my affinity for all things Taiwanese (except snobby women), I’ve never been to Old Country Cafe in Alhambra. 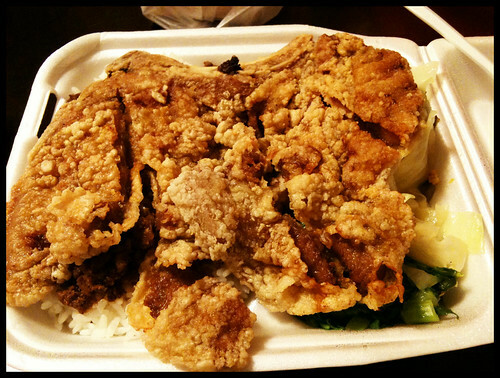 And despite its HEInous exclusion from LA Weekly’s 10 Classic Taiwanese Dishes list, one of the Taiwanese dishes that immediately comes to mind is the Taiwanese pork chop rice. Old Country Cafe has everything you’d want in the dish: a wonderfully marinated and fried pork chop on some deliciously braised ground pork (lu rou) over rice, served with cabbage, mustard greens, and a tea egg. It’s nothing fancy; just a well-executed classic, humbly served and even moreso priced. 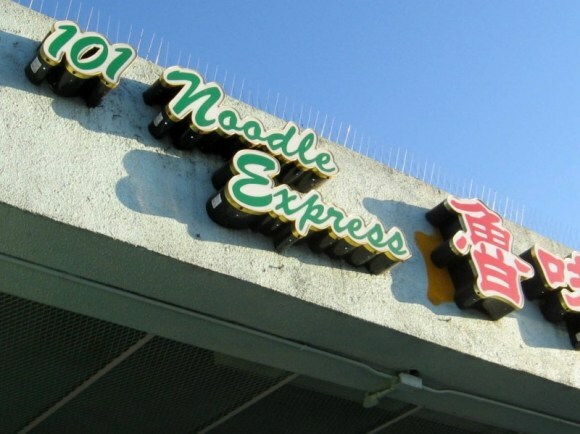 Do note that the boba milk tea is whatevers here, but that’s not the reason you’d go anyways. 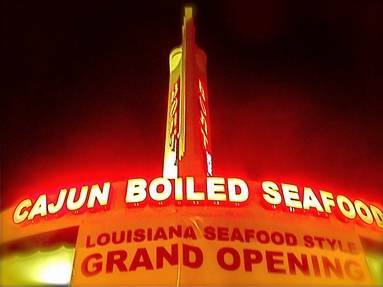 This type of food isn’t very exciting – just a bunch of Cajun seasoning thrown in bags of various seafood. It is, however, very filling. And Boat House emulates Boiling Crab pretty well. So if you have a craving for Boiling Crab, and the lines are way too long (like 95% of the time), then don’t hesitate to make a detour to Boat House. If it was up to me though, I would never visit these restaurants personally. If I want real Cajun food, I would just go somewhere like The Gumbo Pot in the Farmers Market next to The Grove (does anyone have a good Cajun recommendation?). Danno has ordered their beef rolls to-go a couple of times when I’ve been at his house in recent months, but I haven’t been back to dine in at 101 Noodle Express in at least a year. But I drove past the restaurant after dropping my grandma off at her Chinese opera class on my way home, and I thought: “What better time than any to have some of the beef rolls I’ve spoken so much about again?” I ordered it to-go of course, having just finished lunch with the family. Still very good, and still the best beef rolls I’ve had. 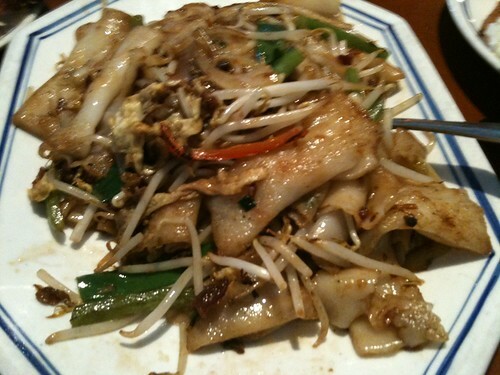 The restaurant has some good noodle and dumpling dishes as well, but they’re nothing of the beef rolls’ caliber. I normally wouldn’t write about a single dish that I’ve taken to-go, but I don’t know when I’ll be back to eat at the restaurant, so this minor post will have to suffice. Hopefully it’ll be soon, so I can give everyone a more detailed account.